Fanfic for any occasion and some that haven't been invented yet. For disclaimers and srs bznss see here. A full index of podfics done of my work is here, or you can check my "Podfic" tag on the journal. Summary: Seventy years ago, Steve and Bucky had their picture taken. Notes: Inspired by this post by thisisamarvelblogg on Tumblr: i have so many feelings about photo booths. for a lot of people (read: lgbt people) it was the first/only opportunity a lot of them had to have pictures of themselves as a couple, because there was no photographer, so it was a few seconds to be themselves and have PROOF of themselves to hide away for when they needed it. and uh since this is technically a fandom blog?? Fandom: Whoever cleaned out Steve's apartment definitely found at least one sheet of three increasingly close hugs and then a kiss tucked inside a book hidden under something. Inspired also by shanology on tumblr, who responded: Headcanon 100% accepted, this was absolutely a thing that Science Nerd Bucky Barnes would have made Steve go check out. I messed around with timing a little and it's probably not 100% historically accurate but also the US never developed a super soldier serum so I'm feeling okay about my inaccuracies. Also you guys, the banana cream twinkies are real. Warnings: Some era-specific homophobia, nothing significant beyond cultural background noise. Summary: Tony gives the Avengers a crash course in Disney. Notes: From a prompt: Tony realizes that some of the Avengers haven't seen the Disney movies (Thor and Steve, maybe Natasha?) He makes them marathon it. Things I discovered writing this fic: I cannot spell Dalmatians. Notes: From a prompt: Steve/Tony hurt/comfort ficlet after one of them is either kidnapped or presumed dead. Summary: Tony finally puts two and two together. Notes: Prompted by jamyesterday: Natasha and Tony cross paths, back in his Merchant of Death days and before she joins SHIELD. Summary: Clint is unnerved by a broken elevator in space. Notes: From a prompt by toast-the-unknowing: Could you do a fic for Clint + any character of your choice, stuck in an elevator together IN SPACE? Summary: Clint and Bucky go running. This was a potential mistake. Summary: The fugitive Avengers have their own ways of coping. Notes: From a prompt by Archwrites on Tumblr: Wakanda, post-jailbreak, everyone's domestic life in the royal palace. Notes: From a prompt: Leverage/MCU xover where Sophie used to be a SHIELD agent. Summary: DJ has a new video game and a new real-life game. Notes: Inspired by an ask I received about the most adorable child in the world, as well as a conversation (quoted at the end) about how much we'd like to see DJ in the Avengers Academy game. Sci graciously gave me permission to share the fic; DJ belongs to her. Summary: Avengers Academy has a dog park. No dogs are allowed. Notes: Hello-Shellhead on tumblr posted an image of a common bug in the Avengers Academy game, where the statue of Steve Rogers shows up as a black void. Based on this, Shinyblackbird prompted Portal of some sort? Misplaced chunk of the Dog Park? Summary: Tony studies the time fog, but the time fog may be studying him. Notes: allmyfavesareflawed prompted: Something to do with Avengers Academy and the TimeFog? That stuff is suspicious. Summary: Steve was not prepared for this at six am on his day off. "Michelin has gone to extraordinary lengths to maintain the anonymity of its inspectors. Many of the company's top executives have never met an inspector; inspectors themselves are advised not to disclose their line of work, even to their parents (who might be tempted to boast about it); and, in all the years that it has been putting out the guide, Michelin has refused to allow its inspectors to speak to journalists." Okay but Michelin inspector AU where they use all the cheesy spy lines and dodgy excuses and their SO is convinced they work for the CIA or something. but actually they just really secretly review restaurants. Starkerized then suggested I don't know who fits the bill for this job but my first thought was FOODIEVERSE. It's not quite what Minopoke suggested but the whole thing gave me an idea. Part of the Foodieverse series; also available at AO3. Summary: Using Bucky to keep Tony entertained wasn't Steve's best idea. Notes: Prompted by onemuseleft: I misread "Starbuck" as "Starkbuck" and got all excited that you were writing a Tony/Bucky domestic baking AU. I saw domestic baking but I heard Foodieverse. Summary: Tony's idea of a food truck is...interesting. agentpaxieamor: Steve is going to be taking his truck to NY ComicCon, Tony decides he has to have a truck there too. His truck is... Interesting. katisatotalnerd: Are there any parades in the Foodieverse? Does Steve drag Tony to the parades? Do Steve and Sam set up their trucks along the parade path? Does Steve badger Tony to set up some sort of promotional table for TOBRU? Summary: Steve was prepared to be coldly polite to Jarvis, until he figured out who he actually was. 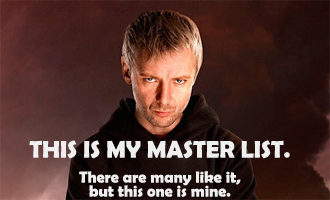 Notes: Prompted by drivemetogeek: What's/Who's Jarvis in Foodieverse? Summary: Clint's brother shows up, and Clint disappears. Part of the Silver Age series; also available at AO3. Summary: Clint Barton was always the kid brother in the background, until one day he definitely was not. Warnings: Mention of kidnapping and recuperation. Summary: Maria Stark makes a place for her son's many friends; Tony also makes his own place for them. Anonymous: I just adore your Jan and Natasha interacting with Maria, and I'd love to see their shopping trip! Or just the aftermath, with Jarvis providing soothing beverages after a frenetic day out. Anonymous: I really love your Silver Age series, so could you maybe write Tony and Bucky cuddling/tinkering together in that universe? Part of the Silver Age universe; also available at AO3. Summary: Tony attends a wedding; Steve starts making a little space. Notes: Natasha Stark is a canonical gender-bent Tony Stark whose marriage to Steve Rogers in Earth 3490 prevented the Civil War. This story is based on a glorious art/headcanon from ireallyshouldbedrawing: Somehow Tony Starks from different universes ended up in one but they worked it out and were able to go home and a few Tonys got a long really well, including 3490!Natasha and 616!Tony maybe and they promised to keep in touch (secretly obviously). And then it was Natasha's wedding day and she asked if the other Tonys could ‘be there' for her and this one Tony holed himself up in his lab to ‘attend' the wedding and he was happy for Natasha but so jealous at the same time and he was so overwhelmed that he didn't hear Steve, who just got back from a mission, came in. Art by ireallyshouldbedrawing; find the original post here. Go give them some love! Other Notes: I don't know how presidential campaigns work, guys. I didn't do any research because politics is very boring and I only research it when I am myself voting to make sure I don't vote for Darth Vader in disguise. Please forgive for any inaccuracies, I wasn't willing to put that amount of energy into what is essentially four thousand words of LOL CLINT BARTON. Notes: Prompted by a tumblr post and written during a Sam Writes Live on March 12, 2016. Summary: Bucky was having a great time with Lizbet, until her dad got involved. Notes: Happy birthday, Jean. :D Based on a post that got slightly out of hand. Summary: DJ is really excited about Tony's birthday, and at first nobody's really sure why. Summary: Several short fics written for a promptfest, primarily Avengers but also in White Collar, Discworld, and a number of AUs. Notes: This was meant to be a "five sentence" prompt fest -- someone sends me a sentence, I write the next five. It got a little out of hand. Summary: Steve didn't know you could go to college to study movies. Notes: Written for @lexrhetoricae on Tumblr, as a get-well gift. Summary: Steve and Peggy have a reunion, a new job -- and a lot of very invested friends. Notes: Written for @steggyisimmortal on Tumblr, for the Steggy Secret Santa. It's the happiest ending I could think of -- I hope you enjoy it! Summary: After a moment of vast insecurity, Steve and Bucky make sure Tony understands exactly where his place is: in the middle. Notes: This was originally a shorter story written for the Bucky Mini Fic Fest, but when I expanded it I thought I should probably make it a standalone. Originally prompted by Charmedor on Tumblr, asking for "anything Steve/Tony/Bucky", it was expanded when @dreamcatchersdaughter sent me an ask: "...you wrote an OT3 fic I fell madly in love with and that I re-read all the time [...] I was sort of wondering, if there was gonna be a sequel of them reassuring Tony. Or what the next morning would look like, the two of them tag teaming Tony." Notes: Inspired by an anonymous fic prompt here: "Steve woke up from the ice and went to the Stark Expo and still got awed but instead of Howard it was Tony and ofc it was more amazing bUT THEN HE GOT TO MEET THE PERSON AND HOT DAMN, THE GENIUS IS CUTE and thus the 'Mr. Stark' in the Avengers movie was actually Steve trying to play it cool while fanboying inside, amen". I'm not sure I did quite what was intended, but I had a lot of fun. More Notes: the Lincoln-Kennedy urban legend is a real thing.. Also we've established Tony was probably driving a 1954 Cadillac Eldorado. Warnings: Brief mention of POW experiences and PTSD. Summary: Steve wants to know what Bucky remembers; Steve's own memories are much more interesting to Bucky. Warnings: Passing mention of an attempted (and thwarted) gay bashing. Summary: Steve knows a lot about cooking and he loves to help people. The job was a natural fit. Notes: Based in the foodieverse, where everyone is a chef; you probably need to read that to fully get it, but all you really need to know is that Tony is co-owner of a haute cuisine molecular gastronomy joint called TOBRU and Steve drives a food truck called War On Hunger. Inspired by a tumblr post about Butterball's helpline, which you can read here. Notes: Inspired by a fandom dream by @allofthefeelings on Tumblr, and first posted here: "The artificial concept drawing people into state-mandated relationships was not D/s or A/B/O or whatever, but rather ghost hunting and who could fight ghosts had to be paired with who could communicate with them and the rituals involved making a scythe to prove devotion." Warnings: Some bullying at the start. Notes: Partly inspired by Gypsylady on AO3 who requested "the story of Thor taking Izzy to Asgard so she can be a space princess." I have to admit this is stitched up together from three separate Izzy stories so may not be the most coherent, but I hope you guys enjoy it anyway. And if you're interested, you can witness the glory and horror of The Brave Little Toaster here. Summary: Every year I find the bits and ends of stories never finished (or finished but never started) and either set them aside to work on or post them, since I won't be completing them as stories. Notes: I feel like this is shorter than usual this year, and all Marvel/MCU; I hope you enjoy it regardless. Each story fragment has an explanation for it at the start. Summary: The gifts from Tony and Pepper are nice, and Steve secretly likes showing off signs that he belongs to them -- until some offhanded teasing from Clint makes him wonder if they're gifts from his lovers or payment for services rendered. Notes: Written during a live real-time "Watch me write" on December 6th. This is a coda to the Silver Age AU, where Tony was born in 1950 and Bucky was recovered in 1967 in a failed attempt to assassinate the Starks. Inspired by a brilliant title offered by MewWitch in comments: "Any Chance that the trip to Coney Island will have them meet up with a certain Carney archer? It could be titled The Comrade and the Carnie." Notes: Based on a series of conversations between myself and @captn-sara-holmes on tumblr and in ask messages; the bulk of the conversation is here. Summary: In the summer of 1970, Tony Stark is leading the expedition ship Marvel in search of the body of Steve Rogers. He has good friends with him: ship's captain Carol Danvers, medic Sam Wilson, best friend James Rhodes and boyfriend James Barnes, as well as scientist Vernon van Dyne and his daughter Janet. But they've also been assigned a diplomatic observer from the USSR named Natalia Romanoff, and the barren chill of Greenland is not the only threat dogging their search. Notes: This is the third in the series that began with The Soldier And The Hurricane, an AU where Tony was born in 1950 and Bucky Barnes was recovered during a failed assassination attempt on the Starks in 1967. Warnings: Some minor era-appropriate racism, some mentions of PTSD. Summary: Peter Parker doesn't have to make a decision between his two callings -- but he thinks it's probably time he should. Summary: Bucky is having some issues adjusting to the new world, but they aren't the ones Steve or anyone else expected. Notes: Based on a comment on my "Russian Judges" story by TheRogueHuntress, requesting "a whole story about Bucky judging everyone and everything". Summary: Bucky is not good at proposing, but once he managed, he and Sam were going to let people find out organically. Unfortunately, Tony Stark has never done anything organically in his life. Notes: This is a story set in the Tiny Spy Assassin Steve universe, after Desert Knights. Warnings: Mention of PTSD-induced nightmares. Notes: This follows a few months after The Soldier And The Hurricane, an AU where Tony was born in 1950 and Bucky was recovered in 1967, rather than assassinating Howard and Maria. Warnings: Discussion and brief description of PTSD and trauma-related behavior; some brief discussion of period-appropriate homophobia. Summary: It's 1951, Steve and Bucky are both home again, and Peggy couldn't be happier. But Bucky could be, which means Steve is fretting, and Peggy can't let her boys be unhappy when there's a very simple solution to this problem. Warnings: Brief mentions of PTSD (nightmares). Sequel to New Threads, in which Bucky was rescued from Hydra in the late 1940s and Steve was recovered from the ice in 1949. Summary: Steve is haunted by a phantom pain he can't explain, and isn't sure how to ask for help. Fortunately, Tony is pretty sure he knows what's wrong, and how to sell the Avengers on fixing it. Warnings: It's not simple to warn for, but Steve spends a significant part of the story isolated and unhappy about it; might be triggery for people with social anxiety issues. From essie007: Tiny Assasain Steve meets other versions of himself from the multiverse including MCU and 616 and whoever else you want to include. From mouseolaw: Would you do a Tiny!Steve meets MCU!Steve? From chibiesque: I'd really love a short cross-over with tiny Steve and Captain America Steve. Summary: Bucky and Steve finally come home from the war. Peggy couldn't be more pleased. 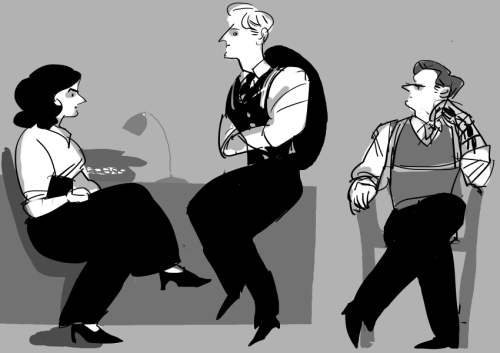 Notes: Inspired by Hachinana87 on Tumblr, who drew a Fashionable Fifties AU for their Maybe Daily Captain America series. Original art by Hachinana87 here. Summary: Steve is obsessed with Bucky and Natasha's relationship. Bucky's gonna find Steve his own date if it kills him. Natasha thinks Bucky is perhaps overlooking the obvious. This is a series of short stories set in and around the Tiny Spy Assassin Steve AU, which is comprised (so far) of Toy Soldiers and Desert Knights. It may not make much sense without having read those first. These are also available at AO3. Summary: Tony still thinks Steve is an art student. Steve still thinks Tony's going to dump him when he finds out the truth. 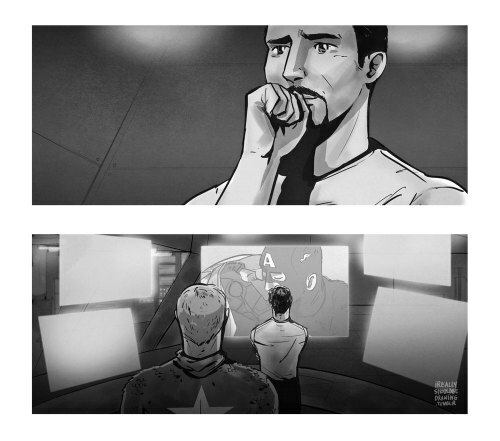 Notes: For the prompt by Quietellen on tumblr: "Can you write about what it might have looked like if Steve had rescued Tony but not revealed his true occupation and Tony went on thinking he was an artist? How else might Tony have learned the truth?" Warnings: Brief, non-lethal animal harm. Notes: For a prompt by Anon: "TSAS Clint: Assholes Against the World! (or, how did they meet, and who got blown up when they did?)" Summary: Tony is wrong and Steve knows he's wrong and he knows Bucky and Sam will back him up on this – wait, what? Notes: For a prompt from shakespearean-ginger, who said: "Tony and Steve's first really vicious fight where Steve is in the wrong." Summary: Tony catches a hand-to-hand demonstration between Steve and Peggy. It makes an impression. Notes: For a prompt from Anon: "Tony sees Steve training with the other spies." Summary: Peggy has a great idea about not being married. Notes: For a prompt from Archwrites: "Peggy has Opinions. Because Peggy is awesome. I mean, this opens the door for basically just any Peggy fic." Summary: A covert op to bust up a nest of neo-nazis goes terribly, destructively right. Notes: For a prompt from Scifigrl47, involving Steve, puppies, and the fourth of July. Summary: Steve is having the best anniversary ever. Tony is having a headache. Notes: For a prompt from Anon: "Steve and Tony's second anniversary?" Summary: Tony Stark doesn't do anything in an ordinary way, including pet ownership. Notes: This originated here. I can't really explain it. This is a vast, sprawling AU containing many parts; if you're interested in "DVD Extras" including short posts and fanart, you can check out the masterpost here. Warnings: An animal is harmed but not killed, and the descriptions of harm are brief. Benjamin Franklin's comments on the regal, noble American Turkey may be found here. 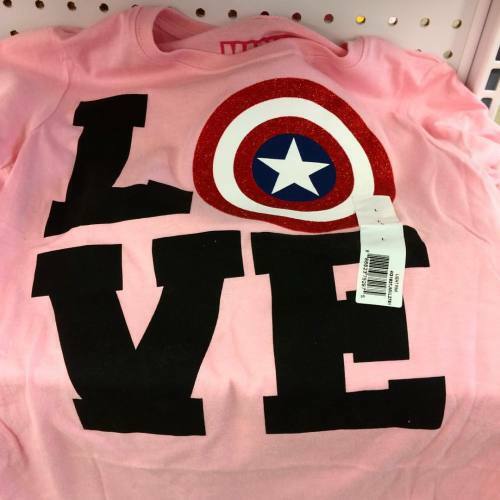 Summary: Steve's favorite shirt is at the center of a debate about masculinity, sexuality, and whether or not he did in fact steal it like a thief in the night from Tony. Warnings: Some brief homophobia aimed at Steve. Really a lot of credit goes to ifeelbetterer on tumblr for the framework of the whole thing and at least 12% of the credit goes to notimpossiblejustabitunlikely on tumblr for pointing out that it was undoubtedly Tony's shirt first. You can view and purchase the IT'S STARS AND STRIPES shirt here. It's been around a while, I didn't invent it or anything. Summary: When the Winter Soldier fails to kill Howard and Maria Stark and is taken prisoner in the summer of 1967, his salvation comes in the unlikely form of a Russian-speaking, father-disobeying, endlessly-tinkering seventeen-year-old: Tony Stark. Warnings: Mentions of alcoholism, brief mentions of suicide; various references to Howard Stark's terrible parenting (no child abuse, just...poor parenting). Fanfiction is a way of the culture repairing the damage done in a system where contemporary myths are owned by corporations instead of owned by folk. Life is very short. We die on the march. But there is nothing outside the march so nothing can be lost to it. The missing plays of Sophocles will turn up piece by piece, or be written again in another language. A good story should provoke discussion, debate, argument...and the occasional bar fight. Here's how to become a great artist. First, get miserable. Misery drives you to become a great artist, but the art does nothing for your misery, which drives you to drugs, which makes you a lousy artist. Humans? They're long gone. Vanished. Extinct. They only exist in stories. Anton Chekov, who was a doctor, said, "Medicine is my wife; writing is my mistress." The recipe for becoming a good novelist is easy to give, but to carry it out presupposes qualities one is accustomed to overlook. One has only to make a hundred or so sketches for novels, none longer than two pages but of such distinctness that every word in them is necessary. One should write down anecdotes every day until one has learnt how to give them the most pregnant and effective form; one should be tireless in collecting and describing human types and characters; one should above all relate things to others and listen to others relate, keeping one's eyes and ears open for the effect produced on those present, one should travel like a landscape painter or costume designer. One should, finally, reflect on the motives of human actions, disdain no signpost for instruction about them and be a collector of these things by day and night. One should continue in this many-sided exercise for some ten years; what is then created in the workshop will be fit to go out into the world. The thief. Once committed beyond a certain point he should not worry himself too much. Thieving is God's message to him. Let him try and be a good thief. Same story, different versions, and all are true. Every archaeologist knows in his heart why he digs. He digs, in pity and humility, that the dead may live again, that what is past may not be forever lost, that something may be salvaged from the wrack of the ages. -- From "The Testimony of the Spade"
When asked how she acquired her knowledge of science, Octavia Butler replied, "I read."